I was not really impressed with "Abominog", their previous release. Could the same line- up produced something better ? Their AOR/FM orientation was not really the best choice IMO. Unfortunately, with this release, they'll keep on investigating in these sounds. Both "The Other Side of Midnight" and "Stay on Top" although heavy rock numbers are rather dull. The first interesting track is "Lonely Nights" thanks to its catchy melody and good rhythmics. A very nice and poopy tune. More in line with their work in " Conquest" which I quite liked (surprisingly). I guess that since heavy metal was rather popular in these days, that the Heep tried to attract fans from the genre with numbers like "Sweet Talk" (still formatted fo radio broadcasting). Not too bad though. Another good rock song is "Love Is Blind". I have already written that when the Heep sticks to good (hard) rock songs it could still be pleasant (the best years being of course behind). "Roll-Overture" could have been featured on "Salisbury" : it is one of their most symphonic (even a bit pompous) number. ELP is not far away. This could have been an intro to an epic song. Instead, it introduces the rather violent "Red Lights". Fabulous rythm here, and high pitched vocals as Byron had used us to. It is really a return to old the good old days (reminds me definitely "Bird Of Prey " from... "Salisbury" back in 1971). It has been ages than the Heep had not produced such a great song. Fantastic guitar work (thanks Mick). The absolute highlight here (too short, unfortunately. But this was already ture for some of their legendary tracks like "Easy Livin"). "Rollin' the Rock" is also a good number. Almost prog intro (for about 2'20") with very nice vocals and backing keys. 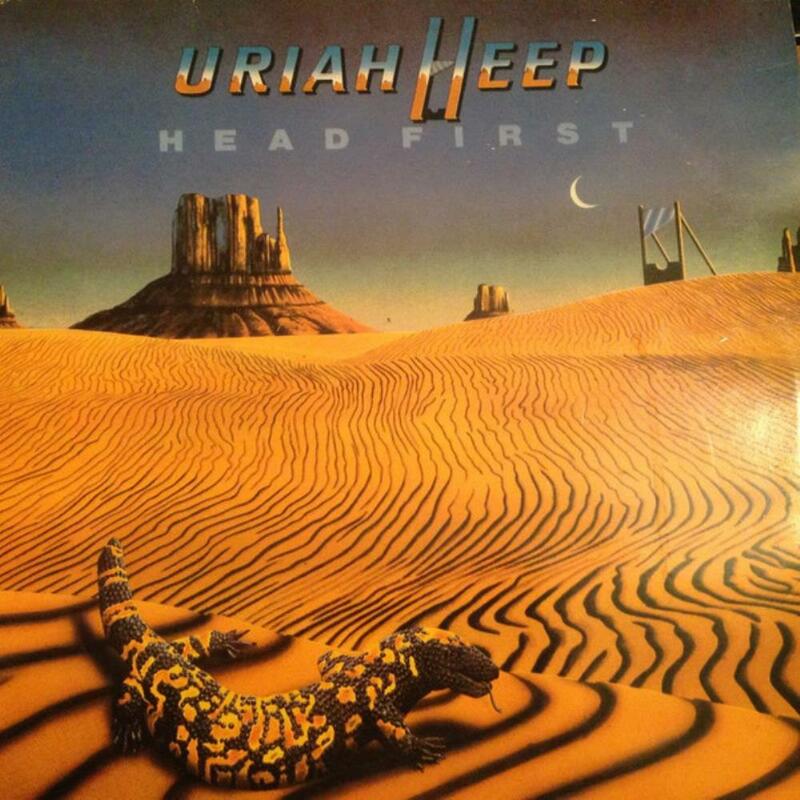 The song then rocks strongly for a little while, like if the Heep was hesitant to produce a prog song (IMO, there were never really prog with the exception of "Salisbury", the album). I have always categorized them within the hard- rock genre. This song is again a very good surprise. Strong and efficient. Another highlight. The same spatial vocal from "Bird Of Prey" can also be heard at the end of the song (very briefly, I must say). This album is rather pleasant : a global good rock feeling throughout the whole work. Here and there some weak songs like the AOR "Straight To The Heart"(but there was a time during which only poor songs were proposed). So, let's not complain too much. The closing number "Weekend Warriors" is again a solid hard-rock song with a fantastic rythm and a good melody. A very good song indeed to end this rather interesting (and surprising) album. As I concluded in my review for "Conquest", the Heep is back on business. Should they only avoid this AOR sound here and there, it would be far much better. Three stars. I hope the Heep will go on like this for their future releases.